Last month we looked at some of the things you should do to prepare your car for the winter months. Whilst your car may be prepared often you’ll find the road or environment can actually be the cause of accidents and crashes. This month we’re looking at some of the dangers you face on the road and how best to avoid them. Ice is one of the biggest hazards facing motorists over winter. If you are planning a route along roads that you know may be icy, bear in mind the following; You should allow for up to ten times the stopping distance of normal weather conditions.Gentle control of the vehicle, i.e accelerator and steering, and avoidance of rash or jerking movements will reduce the risk of losing control. If you start to skid, it’s best to steer gently in the direction that you’re skidding. 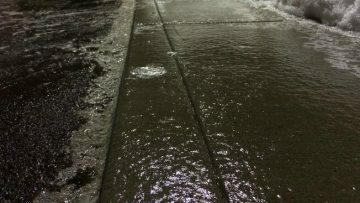 Potholes come about when water seeps into cracks in the road surface, when it gets cold enough the water freezes and expands, causing the crack to get bigger. As traffic drives over the growing crack more and more of the road surface erodes away until it becomes a large pothole which could damage your vehicle. 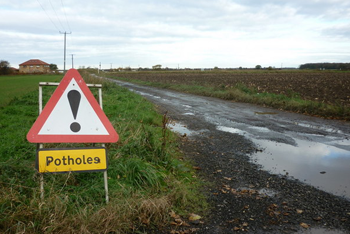 This means potholes often form and get worse throughout the winter months. If the road surface you are planning to drive along is old or vulnerable to potholes, you should first consider another route. If this isn’t possible, drive slowly and keep smooth, gentle control over steering, braking and even gear changes. 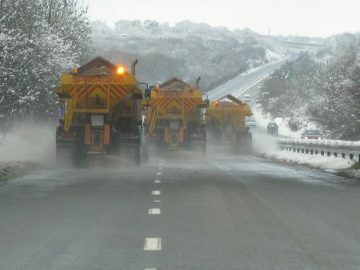 In the North-East snow often falls unexpectedly and catches local councils and gritters by surprise. Whilst every effort is made to ensure our roads are safe there might be times when you’ll find yourself on roads that haven’t been gritted and are covered in snow. Although you might think it sensible to follow in a previous vehicles tracks this can be dangerous. When a car drives on fresh snow the snow becomes much more compact and acts a lot like ice, so driving in someone else’s tracks could be more like driving on ice and could cause a serious incident.